Very few baseball fields are identical. While infields are all alike, size-wise, the shape of the outfield will vary and the alignment of outfield fences and the material used are unlikely to match another facility. The configuration of foul territory and the location of bullpens will also vary. 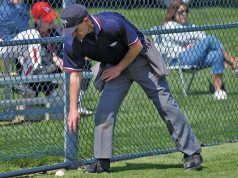 Thus, there is a need for ground rules whose sole purpose is to identify the locations where a live ball becomes a dead ball. The only restriction on ground rules is they cannot conflict with or supersede any printed rule. An example is the telephone cable which stretches between the plate and the backstop. Playing it off the wire makes sense as the wire is not apt to materially change the path of the ball; however, the rules provide a foul ball is dead when it touches anything foreign to the ground. Another idea with merit is a ground-rule triple because the fence the ball goes through is so distant that any runner could easily make it to third. The problem is the rules state fair batted balls which go over or through a fence result in a two-base award. However, in a college game NCAA rule 8-3o1 permits a ground rule in this type of situation. 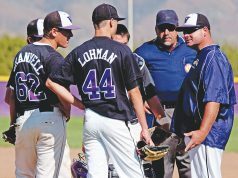 The home team coach is required to propose any ground rules at the pregame conference. 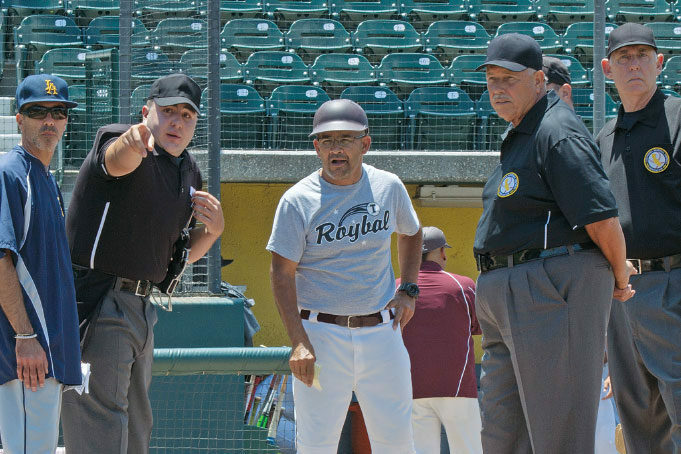 If the visiting coach disagrees, the umpire-in-chief makes the final determination. The UIC may add any special ground rules, at his discretion (NFHS 4-1-2, 10-2-3a; NCAA 4-5; pro 4.05). If something occurs that is not covered, the UIC has authority to rule (NFHS 10-2-2; NCAA 3-6b; pro 8.01c).